Conflict between the Ukraine and Russia continues to escalate despite a ceasefire being declared in February of this year. On the backdrop of this, The Eastern Partnership Summit was held in Riga, Latvia on 21st & 22nd May 2015 to discuss EU relations with the leaders of the EU’s six eastern partners – Armenia, Azerbaijan, Belarus, Georgia, Moldova and the Ukraine. Ukraine took a positive step forward toward EU membership from the previous summit in 2013 and actually ended up signing an agreement with the EU. What does this agreement mean and has Ukraine really taken a step closer to becoming a member of the EU? It is important to appreciate the current uncertainty of Ukraine’s economic position. Ukraine’s economy is in a downward spiral (down over 17.5% since Jan 2015 compared to same period last year). Owing primarily to the military conflict, Ukraine’s economy looks to continue in its downward trajectory owing to its reliance on expensive energy imports from Russia and Europe. This has been exacerbated by a drop in exports of steel to Russia due to devaluation of Rouble and due to the Sochi Olympic project drawing to a close. The price of steel, a key Ukrainian export is at a 3.5year low and the country’s reserves are at a decade low. Ukraine is edging closer to a devaluation of its currency, or even a default on their debt obligations. With the signing of the Eastern Agreement, it is hoped that some of the fringe benefits will help the economy recover. The prevailing issue facing Ukraine’s economy is that it lacks a comparative advantage over the rest of Europe. 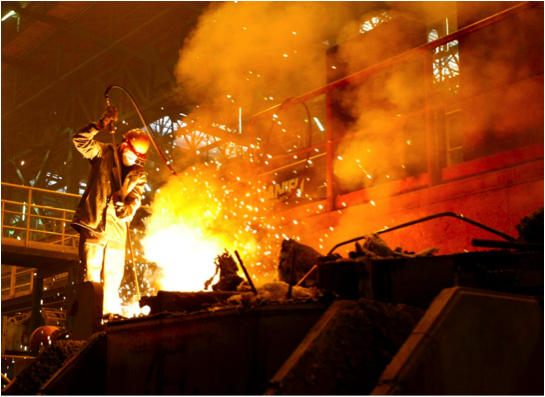 Manufacturing, for instance, is an extremely important sector of the Ukrainian economy in terms of productivity and revenue. Nonetheless, Ukrainian manufactured goods face intense competition if exposed to the traditional manufacturing giants of Germany, France and the UK. It is then also impractical to export to its main trading partner, Russia, who will continue to impose strict import duties in retaliation. Ukraine is not as economically diversified as other developed countries in Europe, therefore, any trade barrier will have a disproportionate impact on them. In the past, Ukraine’s dependence on Russian energy has been a huge bargaining chip and Russia had made it clear that any allegiance with the EU would mean that the price for Russia’s energy would increase. In the past year the Ukraine has been relying much less on Russian energy and going to Europe for its energy supplies. This is in line with moving more toward the European Union and bringing the Ukrainian people closer to what they desire – job security and an organised political system. The facility will provide some €200 million worth of grants and is expected to unlock new investments worth at least €2 billion for the SMEs in the three DCFTA countries: Georgia, Republic of Moldova and Ukraine. On 22 May 2015, the European Commission and Ukraine signed a memorandum of understanding and loan agreement for the third EU Macro-Financial Assistance (MFA) programme to Ukraine. This memorandum of understanding will provide €1.8 billion in much needed financial assistance for the Ukraine. 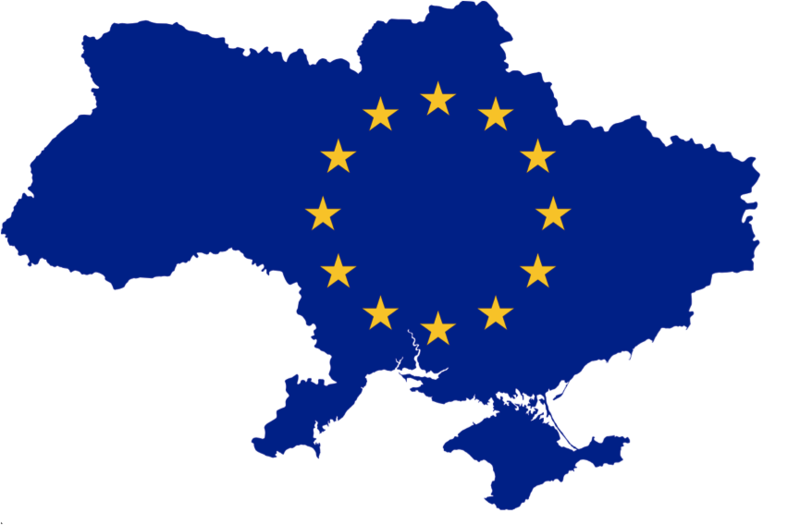 In the long run, joining the EU will ultimately benefit Ukraine (This is expected to happen in the next 5 years or so). By opening up to the rest of Europe, it will accelerate the process of democratisation, improve the country’s investment confidence and strengthen its economic competitiveness. Vitally, the perception of Ukraine’s investment climate and economy will dramatically improve, thus driving growth in the future. However, empirical evidence of Central and Eastern European countries show that free trade agreements are not a panacea for investment and growth. Rather, domestic policies and their implementation are by far the most important determinant of domestic economic outcomes. Therefore, joining the European Union will require undertaking fundamental reform. While Ukraine has made substantial progress in reforming its economy, much still needs to be done to create a predictable and reliable institutional framework. The benefits of a free trade agreement will only be realised if there is a concerted effort to enhance and entrench administrative and judicial reform, thus creating a climate conducive of investment and growth. Reform is an essential step for Ukraine in its transition to a market economy. The Free trade area agreement and grants for SME’s have given Ukraine a life-line and the opportunity to take the next steps to join the rest of Europe in increased stability and prosperity for its population. Moving away from dependence on Russia is surely a step in the right direction. While the EU and the European Commission have done their part it is now up to the Ukraine to undertake fundamental economic reform to achieve sustained growth .